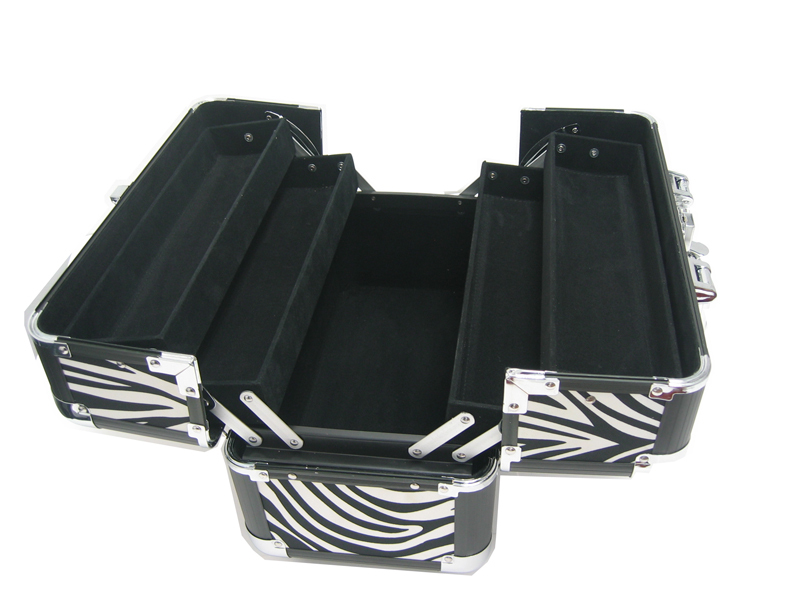 Zebra Makeup Train Case Free Shipping makeup cases [2030B] - $49.99 : MegaDiscStore, Your choices of High quality CD DVD Blu-Ray Replace cases! Black/White ZEBRA Makeup Train Case. Textured feeling PVC panel, Black aluminum strim construction.Four tire black trays are connected with the lid, open the lid and then slide the Trays. * EVA lining with four black trays inside.